Broadheads do the killing; plain and simple. They ultimately do the damage to the game animal standing down range. And for just as many different bowhunters there are in the woods, there seems to be as many different types of broadheads to choose from. Which broadhead to use and which is the best is a topic that will always be debated. The best thing that a bowhunter can do is know and understand what each type of broadhead is and what it does. Then, the best broadheads for whitetail hunting can be selected. No single accessory is as directly responsible for a quick and humane kill as the broadhead. There are two primary types of broadheads; Fixed-Blade and Mechanical. Fixed-blade broadheads have no moving parts and the blades are connected at both the front and back along the broadhead ferrule (or body). Most often the entire blade is connected to the broadhead ferrule. This makes the structural strength of a fixed-blade broadhead greater than any other broadhead type because there are no weak points. For example, broadhead blades that are connected to the ferrule in only one location (like mechanical broadheads) tend to break at that point whenever blade loose is an issue. Fixed-blade broadheads can also carry more blades than most mechanicals can. While they can present tuning issues for inexperienced archers nothing is tougher or more durable than a sturdy fixed-blade broadhead. The biggest complaint associated with fixed-blade broadheads is that of flight characteristics. However, it is important to understand that there are numerous factors that affect a broadhead’s ability to fly well. For instance bow speed, bow tune, total blade surface of the broadhead, and the total number of blades all influence characteristics of flight. However, good broadhead flight starts by shooting a properly tuned bow with arrows that are of the correct spine. 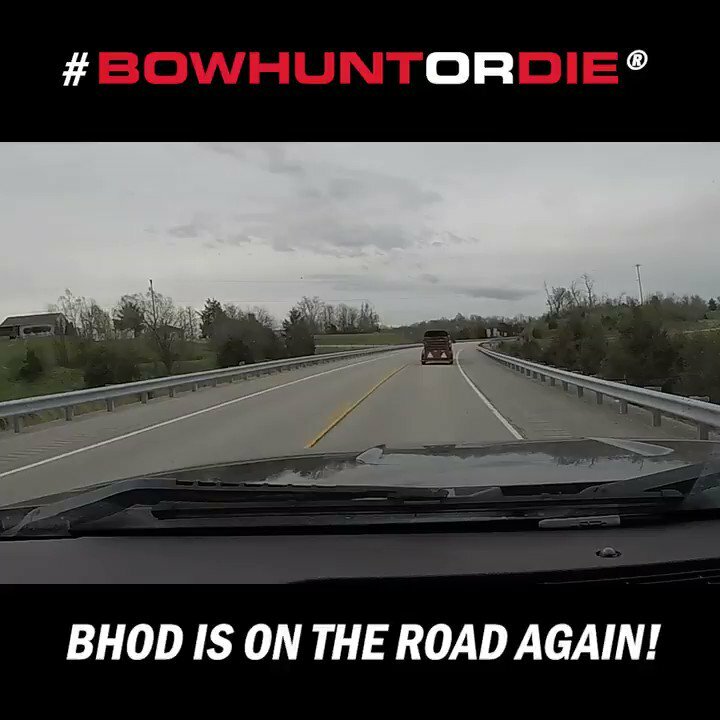 Otherwise, performance will suffer no matter what broadhead you’re using. Nevertheless, getting broadheads to fly like field points is perhaps the number one contributing factor behind shooting mechanical broadheads rather than fixed-blade. Learn how to broadhead tune your bow for optimal fixed blade flight. It should be noted that the blades on a broadhead play a major role in how it will fly. Think of them as “wings”. The larger the wing, the more surface area there is available for air to contact while in flight. The more air there is colliding with the blades in flight, the higher the likelihood that the arrow will veer off-course if everything isn’t perfect. Perfect refers to things like bow tune, the broadheads alignment with the arrow insert, spine and weight of the arrow (which affects oscillation), even the release the shot (rough or smooth). As overall blade “surface area” increases, so does the influences these factors have on flight. Those influences are even greater when arrows are launched from a super-fast bow with light-weight arrows. Tight manufacturing tolerances also play an important role as well. If a broadheads ferrule is not made as straight as possible, alignment with the arrows “center line” will be off and accuracy will suffer. Likewise, blades that do not lockdown tightly, or perhaps sit a little “out-of-line”, will definitely create issues in shooting precision. The goal is to have the arrow fly like a laser, striking the animal in a straight line without pushing to one side or the other due to erratic arrow flight. When first introduced, mechanical broadheads were met with a lot of skepticism. Primarily because of the moving parts involved with them and the fact that there was always a chance something could go wrong. In addition, penetration and angled shots received their fair share of criticism. Early mechanical broadheads required the blades to flipped “backward” in order to open. This action robbed the arrow of kinetic energy and somewhat reduced overall penetration. On top of that, it was felt that when used on tough quartering-away shots that the blades on one side of the broadhead would be forced to fold back before the others, thus, creating a “cartwheel” reaction that would end in a wounded and lost animal. With their large cutting diameter and field-point like flight, expandable or “mechanical” broadheads are an increasingly popular choice for bow hunters. However, the technology found on today’s mechanical broadheads is leaps and bounds ahead of those made only a short time ago. For example, the latest trend in mechanical broadheads is “rear-deploying” blades. In essence, the blades slide straight back upon impact of game hide rather than the old, penetration robbing “fold-back” method of yesterday. This gives the broadhead a sleeker profile, which improves flight characteristics, while also increasing penetration potential. The blades on mechanical broadheads are tougher today thanks to new materials and also manufacturing process. When a broadhead strikes animal flesh it should cut the biggest wound channel possible. This will cause more damage to vital organs as well as allow a large amount of blood to flow outside of the body cavity—-making tracking efforts easier. The tricky part is finding a broadhead that strikes a good balance between cutting diameter and penetration. It does little good to shoot a broadhead with a large cutting swath if such characteristics will cause it to penetrate poorly. Likewise, a head that blasts completely through a whitetail, but leaves a minuscule hole, can sometimes create problems of its own; especially on marginal hits. Large mechanical broadheads like the NAP Killzone can offer cutting diameters of 2″ or larger. Unfortunately, there is no hard standard when it comes to a perfect cutting diameter so exact numbers can’t be recommended. Differences in bow setups and arrow weights are too broad to narrow the choices down to one “ideal” diameter. However, the more kinetic energy a setup produces, the more options in broadhead choices there will be simply because the power needed to push a larger cutting head through hide, flesh, and bone will be present. It is important to consider that when using heads with a small cutting diameter (1 inch) they should (must) have four blades. The reason for this is that a four blade head will punch a gapping “hole”, rather than a slit, in a whitetail’s hide, making it nearly impossible for the wound to close up. In a perfect world, every arrow would slip effortlessly between the ribs of a whitetail; encountering nothing more than thin hide and soft, vital organs. However, in the real world, broadheads are sometimes required to drive through heavy shoulders and arrow deflecting ribs. And, even though a whitetails skeletal makeup isn’t that large, problems can still arise when using a subpar broadhead; particularly one that isn’t very strong. Remember, the moment the blades break or separate themselves from the ferrule the broadhead has essentially stopped doing its job—-and that’s a bad thing. Bob Mizek, director of engineering for New Archery Products, says that heat hardening processes contribute greatly to a broadheads overall strength. However, he is quick to point out that strength also begins with choosing the best materials; those that will “bend but not break”. Without divulging too many details surrounding the processes NAP uses to construct their broadheads, it can be noted that they start by using top grade carbon/chromium components and then liquefy and merge the two together. “The advantage to utilizing higher grade components is that you not only get a stronger product, but the blades on your broadhead will hold an edge much better than those made with low grade carbon/chromium. To the retailer, all broadheads may look the same, but when heavy bone is encountered, or blades need re-sharpened, it is then that the differences in strength and edge are obvious.” Mizek added. Not only does the manner in which a broadhead is made important for strength purposes, but the way the blades actually “lock-down” within the ferrule can be important too. Look for blade locking systems that are bomb-proof. Meaning, there is very little chance of the blades working themselves out when encountering hard objects like bone. When compared to fixed-blade heads, mechanical style broadheads fall a little short in the strength department. That’s not to say mechanicals aren’t tough. A good number of them are. However, one should understand that because of their design, the blades on a mechanical head have a greater chance of breaking off than those on a standard fixed-blade head. The reason for this is simple. The blades on a mechanical broadhead have only one anchor point (near the top of the ferrule). Since their design does not allow them to be connected to the base of the ferrule as well as the top (like fixed-blade broadheads), the blades essentially become weaker and easier to bend or even break off. This weakness in design makes blade strength even more important when considering a mechanical-style head for hunting purposes. Therefore, chose heads made by quality manufacturers who use top-grade materials. Unlike bullets, broadheads must inflict enough damage to cause death by loss of blood, or asphyxiation (deflation of the lungs). As a result, it is vitally important that your arrow drive as deeply into the animal’s body cavity as possible in order to reach the greatest amount of arteries and organs. A broadheads penetration potential depends on a variety of things. And, while a bow’s draw weight, draw length, and overall arrow weight all play a key role, there are characteristics exclusive to the broadhead itself that also affect how deeply it will penetrate. The most obvious thing that can enhance or impede penetration is blade sharpness. If the blades on a particular broadhead aren’t scary sharp, then another brand should be selected. Blade sharpness is critical because before the broadhead even reaches vital organs, it must first cut though hide and hair. That may seem like a simple task, but if a broadheads cutting edge is already somewhat dull, it will be even duller by the time it reaches the “good stuff” on the next animal it encounters. By nature, arteries are stretchy and slippery; behaving much like a greased-up rubber band. When a dull blade encounters them, the chances are good it will slip right over them rather than slice through them. This means little to no blood loss. Therefore, blade sharpness is paramount to success. A sharp broadhead and a well placed arrow typically make for easy recoveries. Less obvious factors that affect penetration are blade angle (or degree), and cutting diameter (which has already been discussed). Blade angle normally becomes a bigger issue with compact-style broadheads (small cutting diameter) because in order to achieve acceptable cutting diameters with these heads, some manufacturers must incorporate severe blade angles. This can hinder penetration because the blades are oriented in a more “outward” angle and tend to “hack” through flesh and bone, as opposed to blades that slope “reward” and “slice” more easily through such substances. However, when using broadheads with a modest cutting diameter, keep in mind that shot placement becomes a little more critical simply because those extra measurements that make up for a “subpar” shot are gone. That’s not to say small broadheads are a poor choice. But, obviously when using those with a cutting diameter of one inch, more precise shot placement is needed than when using one with a much larger cut.